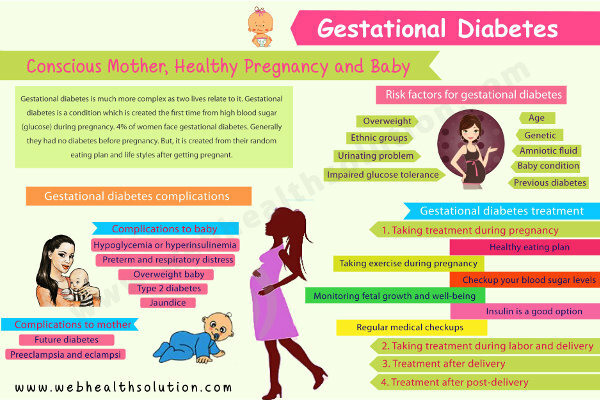 Gestational diabetes also known as Gestational Diabetes Mellitus (GDM) is a condition in which a woman who normally doesn't have elevated levels of blood sugar, gets diabetic during her pregnancy. This diabetic condition now occurs widely throughout the world and close to 5% of all pregnant women have been diagnosed as gestational diabetic. On the bright side, usually the expecting mother has nothing to worry about her delivery process or her child, as long as she keeps the sugar levels under control, usually by following the appropriate diet menu. Close and careful monitoring strategies ensure that any complications during the delivery period will be avoided. 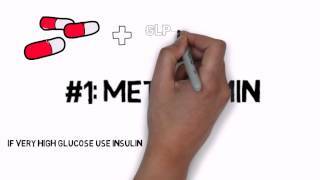 A hormone called insulin is responsible for getting the glucose from the blood into the cells of your body. If you are diabetic, then your body is not producing as much insulin as required, or your cells are not using it the way it should be used. Depending on the exact nature of this imbalance in your body, there are several types of diabetes that can be manifested, gestational type being one of them. If the gestational diabetes is in the mild stages, then it can be controlled purely through proper gestational diabetes diet. In some cases where the illness is in a more progressed state you may have to take insulin to bring your blood sugar levels under control. Your physician will know exactly what to do, and when a special diet needs to be followed, they will draft out the diet taking into account your present eating habits and making sure that you get all the necessary vitamins and nutrients. Mild cases of gestational diabetes can be controlled by introducing a proper diet menu. We are looking to reduce the amount of fat, simple sucrose and salt consumption and to increase the amount of complex carbohydrates and fiber rich foods. According to the American Diabetes Association, less than 30% of the total calorie count should come from fats, no more than 10% to 20% of the total calorie count from proteins, and around 50% of the calories should come from carbohydrates and fiber rich food stuffs like whole grains, fruits and vegetables. A day's calorie intake, as recommended for each menu, can be divided into six smaller meals to make sure that the calories are distributed evenly throughout the day. 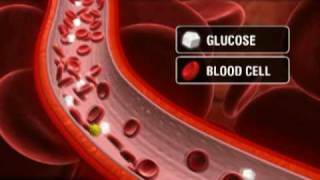 When you wake up in the morning your blood sugar levels will normally be low. To start your day, a small high protein meal that includes meat and a food that is rich in carbohydrates like whole grain toast will be good. Wash it down with a glass of milk or a cup of low calorie yogurt. Vegetable sticks with a low calorie dip, whole wheat crackers, and small servings of fruits or cottage cheese will be ideal for the second meal of your day. This will keep you fill till it is time for your lunch. Choose a meal that is rich in proteins like garden vegetable salad or whole grain pasta or pita bread. This meal mainly comprises of fruits and vegetables. Vegetable or fruit juices with a dash of cheese and whole grain bagel will make a quick, tasty and healthy snack. A whole-wheat grain wrap stuffed with chicken and salad is a good meal. You can dress this up with a drizzle of a salad of your choice or you can treat yourself with a sugar free cookie. When you are up for more than three hours after having your dinner, you sugar levels will start to dip. An apple or a whole grain muffin or a few peanut crackers with a cup of milk will be an ideal bed time snack. As you would have probably heard so many times by now, with proper gestational diabetes diet, carefully planned daily menu and exercise, as advised by your doctor and the rest of the medical team, it is easy to keep the gestational diabetes in check.